They changed my tyers very fast and I got on my way can't complain. Very quick in getting the parts for the brake cable offside and nearside rears. The work was carried out professionally and in reasonable time. BRIAN ALEXANDER WAS ACCOMMODATING DESPITE LACK OF CLARITY ON TYRE SHOPPER WEBSITE REGARDING BOOKING SLOT. BRIAN GIBSON (FITTER) WAS HELPFUL IN POINTING OUT WORK ADVISED ON TYRES. I had a battery replaced in Aberdeen branch. They replaced it quick and with no delay. Thanks. Great customer service - I was very pleased by the way in which Brian ( at the Aberdeen branch ) took the time to explain the problem and then rectify it. Great service. Being treated well. Repairs carried out well and not feeling ripped off at the price paid. Even though I made a mistake in ordering online, the staff were more than helpful and friendly. Had a self tapping screw in my rear tyre. Visited your Market Street branch in Aberdeen today. After examination by your tyre fitter i needed a replacement tyre. Many thanks for your prompt response and fitting of my new tyre to my van. I am self employed and my van is my most important asset which needs to be on the road to carry out my work duties. Stefan did a great job by fixing my tire quickly and professionally. The friendly and helpful staff is the main reason for my score. Also the advice regarding the different types of tyre. I had a bad morning, with a collision against a pavement which blew my vehicle tyre out. Brian @ National - who was on duty all by himself that particular morning - was very helpful in getting be back on the road. Fast, friendly & very efficient! Rubbish. Rude staff. Not at all branded tyres available. I don't recommendet them at all. Friendly, polite, helpful and quick service from the National Tyres team in Market Street. Quick attention despite online tyre order, booked a week earlier, not having been sent to branch. I had my car MOT'd at this branch and the service from the branch manager to the MOT technician was excellent. Courteous and efficient. Great service, easy to book in and great prices. Pleasant and efficient staff.Branch was very busy but managed to get puncture attended to. I have used national for many years now for my private and company cars and always found them to be honest, quick and careful with any work they do. Excellent customer service. 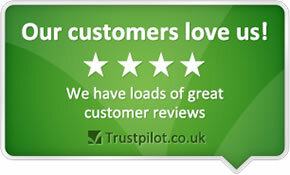 Great customer service, really good value for the work done. Good service at the tyre fitting station. Tyres fitted when promised. The staff were excellent, polite, quick and chatty. Had no issues the whole time I was there. There are also open weekends which is a massive help. They are also a great price! Drove in to get tracking done and was told 15mins. Was on ramp in under 10 mins- super quick! customer service was good and were really helpful with any questions i had . i was impressed with the calibre of the staff at your Market Street Aberdeen branch. I would particularly mention Paul Fraser who was a extremely helpful and efficient. All the guys in the branch (Aberdeen, Market St.) were a pleasure to deal with. Price; staff member was helpful, called back with a quote and gave advice. They are good value for money and work very quickly. The driver called to let me know he was running late. he was really polite and friendly. he then called me to let me know he was finished. good prices and good service THIS WAS THE NEW JOHN ST IN BIRMINGHAM WHICH DOES NOT APPEAR ON THE DROP DOWN LIST! Job done efficiently, in a reasonable time and at a reasonable price.